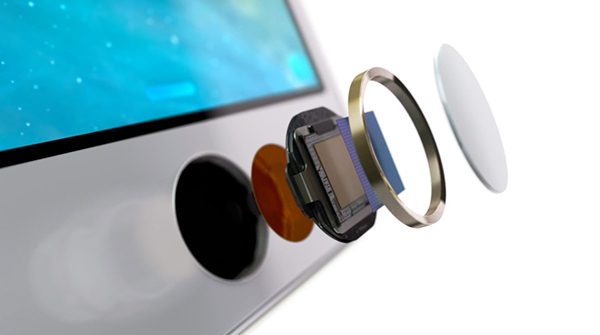 The key to your Home button’s capability to act as a trackpad is the extreme sensitivity of a fingerprint sensor. At 500 dpi, the Touch ID sensor is able to read not just overall outline of your fingerprint, but the smallest details of a fingerprint ridges, and it can recognize multiple prints in any orientation, real fast. All that is needed to transform Touch ID from identification device into a trackpad – is adding the ability to follow changes of scanned fingerprint (or even just small part of it, and its ridges) over time – i.e. tracking its movement over the surface of the button. It might require a lot of processing power to work well, but that’s where 64-bit A7 and future Apple CPUs come in. The rest is software magic, similar to what Apple did with Multi-Touch in 2007. Which, I am sure, engineers in Cupertino are busy perfecting now for Touch ID. 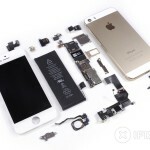 This will allow your iPhone to recognize “Revolving” and “Twisting” finger movements on a Home button. Along with tracking where your finger is, the patent also describes how the home button can measure how long and hard it is pressed. That makes the button, as the site describes, into “an advanced joystick.” The patent even mentions how the Touch ID capability could be integrated into the entire touchscreen. That could allow, for example, only authorized users access to certain apps like Mail. 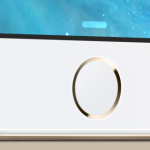 While integrating the Touch ID functionality into the touchscreen sounds interesting, I’m much more interested in how the sensor could be used as a trackpad. That could definitely help navigate an iPhone with a bigger screen, like the rumored 4.9-inch iPhone 6. For other news today, see: Quanta Computer Said To Be Working On An 'iPad Pro' For Apple, Apple Is Getting Ready To Unwrap Some Black Friday Deals, and Thief Steals iPhone, Sends 11-Page Document With Contacts App Contents To Owner.